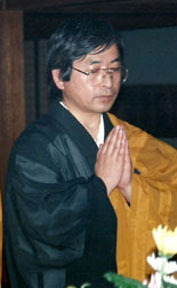 YOSHIKAZU IWAMOTO is a shakuhachi teacher, living in England, who studied with masters Baisen Onishi and Katsuya Yokoyama in Japan. Since 1982 Iwamoto has been artist-in-residence at Dartington College of Arts in the U.K. 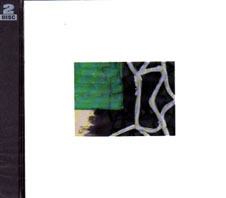 This CD is a re-release of Iwamoto's 1984 LP, When the Brightness Comes. 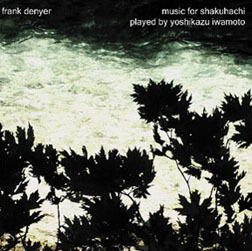 Historic recording of four pieces for solo shakuhachi and percussion by the brilliant composer Frank Denyer, performed by the virtuoso shakuhachi player Yoshikazu Iwamoto. Including the first recording of the immense solo piece "Unnamed". Jo Kondo has written that "Denyer has made music of such remarkable personality that the shakuhachi now emits just Denyer sounds." 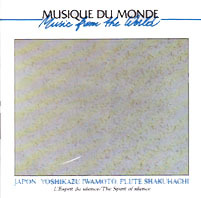 This record is all about a friendship between Frank Denyer, for many years a teacher at Dartington College Of Arts in Devon, and shakuhachi master Yoshikazu Iwamoto, who also taught at Dartington in the 1980s. 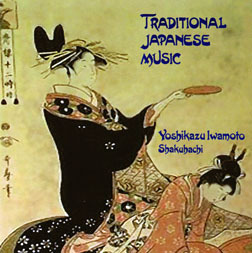 The two first met on an ethnomusicology course at Wesleyan University in Connecticut, where they played Japanese music together. Already interested in flute-making and microtonal tunings, Denyer wrote a series of demanding compositions for Iwamoto over the next twenty years. “On, On – It Must Be So” (1977), as the title suggests, is driven and dynamic. The shakuhachi’s agile gymnastics are egged on by castanets and bass drum. The music sounds tough to play, and there’s a lurking sense of the performer leaping through hoops. By contrast, “Quite White” is a solo built from serene, swooping glissandos. 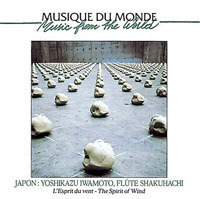 “Wheat” is a suite of six short pieces: Iwamoto’s shifting tone colours and ambiguous pitches are nicely complemented by delicate tapping on stones, bamboo slit drums and an artillery shell. These three compositions were previously heard on a 1984 LP titled Wheat, but the reason the present album has been keenly awaited is the 45 minute monster “Unnamed”, which Iwamoto recorded in 1999 and has never been released. “Unnamed” has legendary status among shakuhachi players, and full credit to Simon Reynell’s new label, Another Timbre, for finally putting it out. Iwamoto retired from playing after a serious illness several years ago, so we are lucky he recorded this when he did. “Unnamed” may be a pianissimo epic, but it’s strongly structured and sustains interest well. Broadly we are in the territory of Morton Feldman’s Second String Quartet, but Denyer patiently explores an extraordinary range of timbral colours, from quavering in-breaths to gasps of sobbing notes. Iwamoto plays with quite magical delicacy. Many of these notes are so spectral that a hypnotic aura of sonic mystery descends like a veil, only to shoved aside by vocal cries or monk-like growls. Always keen to build from scratch on uncharted land, Denyer has constructed an unusual soundworld here – though some improvisers have also ventured into this territory recently via a different door. Iwamoto dedicated himself wholeheartedly to realising Denyer’s challenges, and this record is a crucial part of his testament. 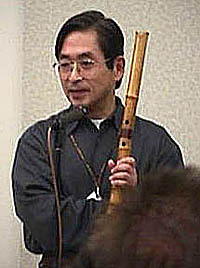 Kinko honkyoku played on a longer 2.3' flute. 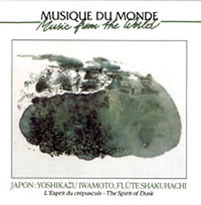 Doulbe Album featuring modern compositions for shakuhachi, piano & percussion.